"There is no evidence at the bomb sites of remote detonation, nor of any material at the bomb factory which would suggest that they intended to construct remote detonators. 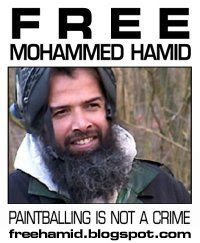 The fact that Hussain seems to have bought a battery that morning may provide further indication that they were using self-detonating devices." "Mobile phones were an important forensic element in the July the 7th bombings of two years ago. Since the detonators there were mobile phones and bits of phones were recovered, and SIM cards were also recovered, which are very vital." What does Professor Michael Clarke know about the events of 7th July 2005 that the rest of us don't know and aren't being told? 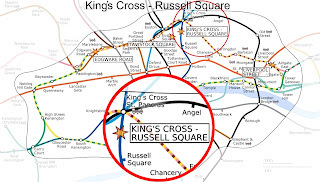 After many months of research J7 are pleased to publish a detailed analysis and summary of the events that occurred around the King's Cross and Russell Square areas of the London Underground on 7th July 2005. This analysis covers the official version of events including a timeline, how the story broke in the media, how the story changed dramatically, an analysis of the two train numbers, confusing accounts from the first responders and eye-witness accounts that contradict the official version of events. The suicide-bomber theory is also examined including the strange identification of Germaine Lindsay as the person responsible for this explosion. The article also examines the fiasco of the Casualty Bureau and further anomalies surrounding the incident with a summary of the many unanswered questions regarding this incident. For the full details, please visit the J7 site and read the article here.